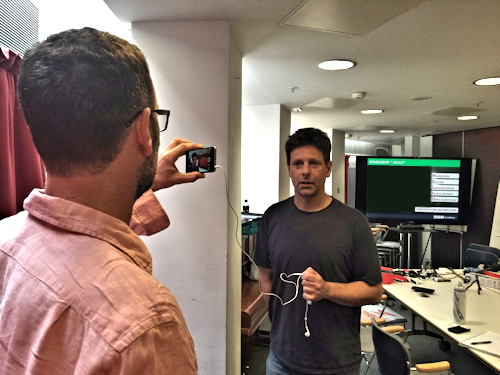 Technical Insight - Trainer Marc Blank-Settle Explains Mobile Journalism at the BBC. I started at the BBC back in 1994, before we had mobile phones let alone smartphones, where I did a range of jobs from reporter to producer to presenter to editor. After that I went to work for BBC Westminster on Today in Parliament before heading to Look East in Norwich where I edited and produced the weekly political programme The East at Westminster. In 2000 I went back to Westminster to be a reporter for the Regional Political Unit, serving the BBC’s local and regional radio and tv stations and in 2003 went to Radio 4 to work for The World at One stable of programmes as producer/editor. I joined the BBC Academy in 2010, where my first role was giving training around the future impact of smartphones, before designing and delivering smartphone training. 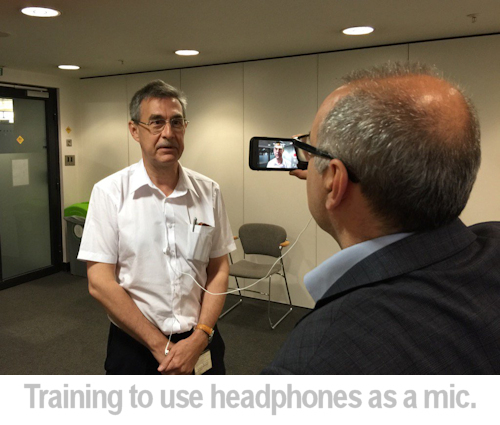 Can you tell us what you do in your training role at the BBC? I run courses showing journalists, mainly but equally anyone with a smartphone can attend, how to get the best out of their device. Anyone can film their mates and post it to social media, but BBC journalists and producers need to understand how to get 'broadcast' standard quality from their device. We spend a fair bit of time looking at the BBC’s own app for recording, editing and sending content called PNG which has been designed to our specifications. How popular is mobile journalism, or MoJo, now? It depends what your measurement is! Are more BBC journalists than in the past using mobiles to capture and send material from their phones? Yes. Could more of them being doing more? Undoubtedly. Is it popular with programme editors? Yes, if it means they get material they might not otherwise, they’d always prefer to have had it filmed on a 'proper' camera, but that’s not always possible. Why are journalists choosing to shoot on their phone? Linking to the last sentence above, the “always with you” nature of a phone is one reason. It’s simply not practical to carry a broadcast-standard camera with you all the time (not to mention the tripod, microphone, batteries it needs) whereas any switched-on journalist will usually have their phone switched on – meaning they can get a shot whenever, wherever. Beyond ubiquity, another reason is that a phone can get you a shot that a larger device might not because of the relative sizes. Good luck hoisting a broadcast camera up high for very long, it’s a doddle with a smartphone and a selfie-stick. The smaller size of a phone means they might also get an interview or a shot that a larger device wouldn’t. For example, turn up to interview someone with a big camera, a tripod, a boom mic, a reflector and so on and it can be intimidating; recording with a smartphone, a device the interviewee may well have used themselves, is less likely to scare them, meaning they may well open up to you more. A number of journalists are also using phones alongside the bigger camera, to get another shot, rather than needing a second camera. Are we seeing a new kind of journalist or is it just regular journalists adopting to technology? I think we will see more of the former in the coming years, as teenagers and students who’ve only ever known life with a smartphone enter the world of journalism, seamlessly transitioning from using their phones to document their lives on social media and blogs. At the moment though it’s a lot of the latter: experienced journalists taking advantage of the new opportunities offered by smartphones. Many have had to widen their skill-set, which is a good thing, as having a smartphone means a radio journalist, for example, is also now expected to be able to take a half-decent photo and record some decent video. And to know how to send it back to the newsroom. Or how to share it straight to social media. Is mobile journalism for everyone? i.e. can the person-on-the-street do this? Anyone can point a phone at an unfolding event and press the record button. The quality of most smartphones is so good now they’ll probably get something that could be used on the BBC, if we need to. If the story is big enough, we’ll run footage that’s shaky, jerky, inaudible and vertical. But to get footage of broadcast standard, it takes a bit more than just pressing “record”, which is where the training comes in. Journalists are professional broadcasters so they need to understand what they can do with a smartphone to raise the quality threshold to something nearer “professional”. There are some circumstances where using “just the phone” will be ok, but it’s equally important to know how to cope when those circumstances are less than favourable, and also how a few accessories can overcome the limitations of “just the phone”. Can you tell us what those accessories are? I can’t recommend brands, but in terms of the type of items: a small tripod to keep your phone steady, an external microphone (and possibly an extender), an extra battery; extra storage. Beyond those, a small lens and a light can make a difference too. What kind of material are journalists making with their phones? There are a few different categories. Our journalists are using their phones to record footage “when the story breaks”, for example, a reporter got to a holiday resort just after a plane had been blown up by terrorists and gathered with his device while he waited for a proper crew to arrive. Equally, for a story in China the authorities wouldn’t let us film with a broadcast camera but were ok with a smartphone, those shots were cut in with others taken later with the main camera and formed the basis of a piece for the BBC Ten O’Clock news. 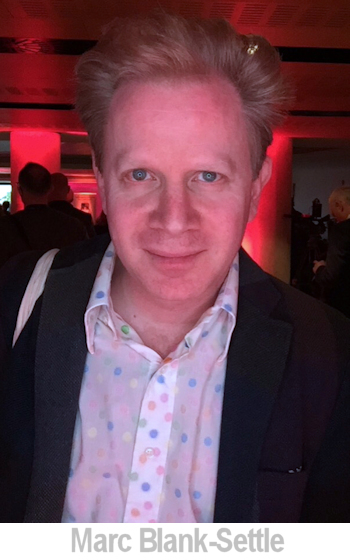 A few journalists have taken mojo to heart: Five Live Nick Garnett reports almost exclusively using his phone; the Business Unit’s Dougal Shaw spent most of June on a “mojodiet”, when he shot a number of pieces only on a phone. (See links to Dougal's blog below). Are there popular apps journalists are using to create their content? Many BBC journalists use the app we’ve developed in-house called PNG (Portable News Gathering) which we’ve configured for our needs. It does all a multi-media journalist requires: it can record, edit and send video, photos and audio straight into our newsroom production systems automatically. "It’s simply not practical to carry a broadcast-standard camera with you all the time" Is PNG available to anyone? It’s not just filming news, there are also apps for photography too. Many, but the stock apps on most smartphones give enough options to all but the pro photographer. How should someone prepare when they’re expecting to film? There are a few simple things that anyone using any smartphone should be aware of, to help them avoid pitfalls. The first is having enough capacity. Video files can be *LARGE*, 100s of MB per minute, yet many smartphones have finite storage. You don’t want to be filming something amazing and then get a warning that your device has no more space. So: always try to ensure you have at least 2gb spare capacity, which will be enough to film 20 minutes or so of video. Delete old videos you no longer need; likewise remove apps you don’t use any more. You can never have enough storage, in the same way you can never have enough battery. Filming video is a huge drain on a battery, so ABC: Always Be Charging. Without any power, your smartphone is a beer mat (but don’t use it as a beer mat) so carry an external battery. The third of the big three is connectivity. As mentioned above, with video files being so large it can take a long time to file long videos unless you’ve got fast connectivity, so try to find faster speeds, can you use a domestic wifi than a clogged 3g signal or trim your footage down so you’re sending shorter material? Also, clean your lens. And go into airplane mode. And hold it horizontally. Airplane mode stops phone calls or VOIP calls or text messages interrupting a recording. When should a journalist not use a phone to shoot a story? If the circumstances are very challenging: for example, when there are strong contrasts of light or if a tricky focus-pull is required, although some apps can cope with that. There equally may be occasions when turning up to record with a phone can be met dismissively or even with derision (are you really a proper journalist?) which you won’t receive if you’re carrying a big camera. And, to be totally honest, when you want 'very' good footage. You’ll always get much better-looking content in the hands of a trained camera crew. If the footage is for TV, what are the minimum technical requirements? For the UK and most of the rest of the world except North America, ideally we need 25 frames per second which is the broadcast standard. Most phones are set to 30fps which is the US standard. 3rd party apps such as FilmicPro for iOS and Android can change the FPS to 25. The BBC though regularly broadcasts footage shot at 30fps, sent by members of the public who don’t know about our requirements. We’d also like it shot at a high a resolution, such as 1080p HD which we can then downsize if required. Upsizing from 540 SD or lower will look poor. On a very technical level, smartphones can only shoot progressive footage, not interlaced which is usually used by broadcast cameras. Again, the BBC has technology to get over that limitation. Sound is vital to video and is something that many people don’t think about enough when recording with a phone. The in-built mics are ok, usually, for most situations and will get great ambient sound or background atmosphere. But if you’re interviewing someone where it’s loud and they’re not pretty close to the phone then they’ll be lost in the overall noise. If you just have the phone, get closer or go somewhere quieter or even ask your guest to talk louder. Better than that, use an external mic. Even the mic on your smartphone’s headphones can give better audio than just the internal device mic. What’s the minimum spec for sound? If you have an app that can increase the audio recording specs to 48khz compressed, then great! If someone shoots newsworthy content, they’d like to make available to TV or to licence, what should they do with it? Send it to the BBC! Beyond that, I don’t know. Is there anywhere in particular to send it? Can you see this hardware ever replacing the traditional ‘on-the-shoulder’ camera? The quality gap between a smartphone and a traditional camera is narrowing but the skills gap remains. A camera man or woman who is dedicated to their craft and has the background of years of knowledge and experience will *always* produce better shots with a big camera. But there aren’t enough of those to go around (both in terms of crews and cameras) yet almost everyone has a device in their pocket which, when used well in advantageous circumstances, can produce footage that can get close to those a proper camera can get. What advice would you have for anyone interested in creating programming on their phone? Practice. Get used to how your phone works, where it performs well and where it struggles. Learn to use it WITHOUT extra equipment so you know how to cope if you have to use “just the phone” then learn the benefits of using a few small accessories. All images are © Marc Blank-Settle and used with permission. Director Eleanor Mannion gives us a BTS look at the ground-breaking documentary The Collectors, filmed in 4K on an iPhone.